IT’S AMAZING how much motoring tech has come on in the past decade or so – but I’m not entirely convinced it’s always a good thing. Particularly when a little orange light starts to play tricks on you. The nifty little illumination in question is a dashboard warning light VW fits to its more recent offerings – and many an Audi, SEAT and Skoda, for that matter – that lets you know its on-board tyre pressure sensor thinks you’re about to encounter a puncture. Having had a Golf give me advance notice of a flat tyre on an outing last year I know that it works tremendously well – except when it doesn’t, because the person who borrowed the car before you admitted to kerbing an alloy a few hours earlier. In the end it turned out said colleague’s parking ineptitude had knocked the sensor out of sync, everything was fine and I was able to get off scot-free for the rest of my 200-mile journey, but it’s where the light came on that really unnerved me. Anyone who regularly ventures down the M6 will know there’s a stretch just south of Thelwall Viaduct that’s being upgraded into a smart motorway, and it feels like it goes on forever. It’s frustrating enough when you’re forced to sit at fifty while all the lorries thunder past obliviously, but when you’re suddenly alerted to the possibility of an imminent puncture and realise there are still several miles of roadworks before you can pull over safely that you start to get worried. Especially when you remember the car you’re in isn’t even fitted with a space saver. The idea of tackling a dead tyre on an open motorway with only a can of gunk to help is mildly terrifying. My fear of breaking down on one of these not-so-smart motorways isn’t unjustified, either; only last week a family gave permission for a rather harrowing 999 call which captures the moment their stricken people carrier was punted up the backside by an HGV to be made public. Properly managed motorways can cope with using the hard shoulder as a fourth lane, but it’s the horribly narrow ones that are still being built that worry me. There were proposals a while ago to limit these stretches to a more palatable two miles long – rather than the 15 or so the longer ones are now – but it seems to have quietly disappeared under the hazy fug of Whitehall bureaucracy. 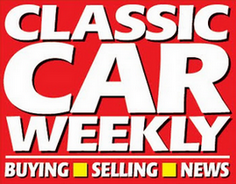 Editor at Classic Car Weekly and Motoring Correspondent at The Champion newspaper. Addicted to car shows. Loves driving great cars - and buying rusty ones. Unauthorised use and/or duplication of any material from this blog without express and written permission from this site’s author is strictly prohibited. Excerpts and links may be used, provided that full and clear credit is given to David Simister and Life On Cars with appropriate and specific direction to the original content. Unless stated otherwise, all text is copyrighted to David Simister and Life On Cars. Images are copyrighted to David Simister and Life On Cars, or reproduced for editorial purposes from manufacture publicity material and Newspress. Additional blog design and content created by Natalie Simister. All views are David’s own and not those of either Champion Media Group (Waypride Ltd) or H Bauer Publishing Limited.